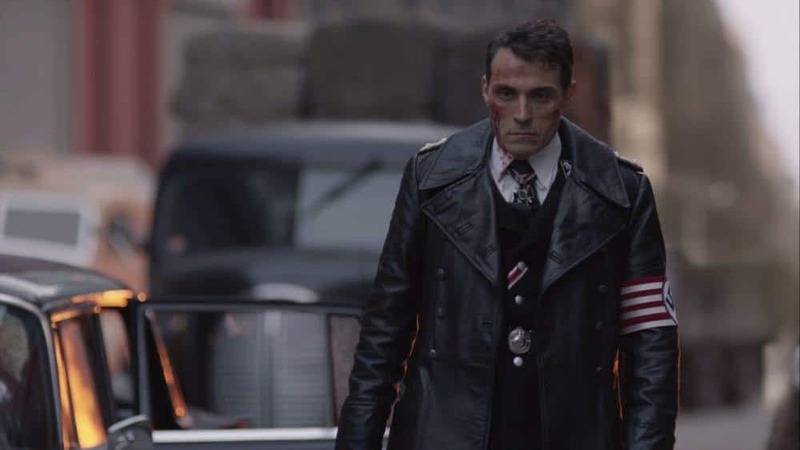 At the conclusion of Season 1, the hero of the Reich, Obergruppenfuhrer John Smith (Rufus Sewell) had unearthed not one, but two traitors in the Reich and has well on his way to another well-earned commendation for his zealous loyalty. But as viewers saw, that loyalty is soon to be tested after discovering his son had a debilitating disease and it remains to be seen whether John will ultimately betray his son or the Reich if forced to choose between them. 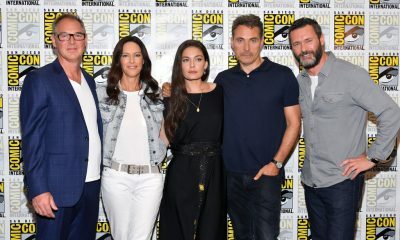 In a press interview from the set, star Rufus Sewell talks about John Smith’s conflicted heart. What were your expectations going into the second season? RUFUS: For me, the hope is that as the story widens, it deepens. What can we expect for your character John Smith? RUFUS: Well, Smith’s predicament was pretty soundly set up at the end of the first season. He’s in a terrible position and a great position at the same time. So in one sense, he’s at the top of the world in terms of his position in the Reich and getting pat on the head from the Fuhrer. He couldn’t really be positioned better in his ascendance in the hierarchy. I mean, he’s already at the top in America, and he’s just done very well by his boss. At the same time, this is someone who I believe, everything he does is some cracked idea of protecting his family. He’s told himself certain stories. He’s got a very strong narrative in his head for why that is the right thing to do, but his son is very much in danger from those same forces that he’s hooked himself to in order to protect his family. He’s split, which is something that I’ve hoped would happen more and more with his character — that he gets divided because I don’t believe he’s ever been straightforward evil or straightforward good, but just a kind of guy like most people. A mix of those two things, and that’s why it’s so interesting to play a Nazi, those things. Because if he was just a straightforward bad guy, I wouldn’t have any interest. That is why this series succeeded and that’s why I’m here. 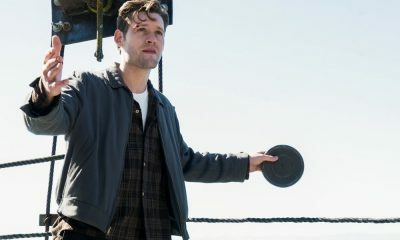 Is John Smith solidly behind the Fuhrer at this point, or is he looking for kind of a way out, the way Joe Blake (Luke Kleintank) almost had at the end of the first season? RUFUS: I think in terms of the long game, I wouldn’t like to go into that. I don’t think there’s anything that’s straightforward with him. I think he’s dealing with things one at a time. He certainly has his doubts. I wouldn’t like to say out loud or predict where he’s going or what he’s planning. I know that he can seem to be going one way, but planning another at the same time. I like to think that there is a lot of potential change in his future. RUFUS: It doesn’t necessarily just have to be a fall. I like the idea of him using his power. I like the fact that I’m involved in [the show] because I certainly have very strong ideas about where I feel this character should go, but I don’t feel at liberty or really in a position to talk about where it should go because I’m talking about where I want it go, but it might not. One of the problems of being an actor and having a brain in a long-term series is that certainly you have a vested interest in where your character goes. 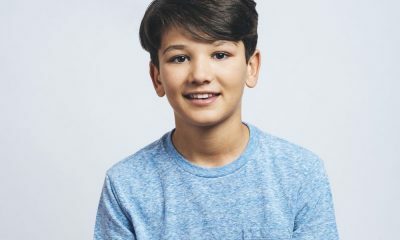 I have a very strong connection to the future of this character, and it’s not necessarily what people would imagine. It’s clear that he’s not just pure evil as there’s other elements to him, which we see in his home life and the scenes with his family. 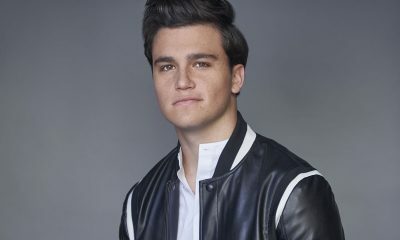 Do we get to see a lot more of that this next season? RUFUS: Yes, there’s a lot more of that. I mean, I was always very much in favor of avoiding too much cuteness with the family life, and I don’t mean that as a joke. I mean that comically or ironically, it’s very tempting I think, and stylistically, to go for the cookie-cutter ’50s dad-knows-best picture postcard idea because as a counterpoint that’s very ironic. It’s almost witty, but I always wanted to press for beyond that. You might get that immediate two-dimensional view with the pipe and the cardigan and the dog, but I think it’s far more interesting if it turns out to be a real family and not some kind of stylized pastiche in order to make a point. For me, I’m really gratified that we’re going deeper and deeper into that. I mean, a lot of his stuff has been with family, absolutely, and it’s just going between these two different worlds that fight each other, inside him and in other ways. The parallel universe, I’m so curious how John Smith would react to what we saw at the end of Season 1. 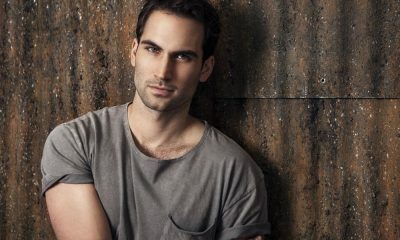 RUFUS: For me, I very much like and look forward to the idea of exploring alternate John Smiths. But I wasn’t keen on the idea of spreading us too thin too quickly in terms of taking characters and giving us alternate versions of them because you can dilute the currency. It’s essential to establish your currency and have people know the value of what they’ve got before you start to play around with it. If everyone was to start spinning off into different realities too quick, what happens is, as far as I’m concerned, it’s like watching one of these films where they have too many flashbacks, too many “what ifs.” After a while, you don’t invest in what you’re watching because you think, “Well, I’m just going to find out that this is a bloody flashback. What’s the point?” You’ve got to know that there is one main world and the others slowly, judiciously move away from that, and I think that there’s enough potential depth in Smith that I wouldn’t want to fail to explore that because people get carried away with cute ideas. However, the beatnik Smith is someone I want to play, or whatever, just as an actor, but also I think it’s very interesting for the audience. [Laughs] But not too soon. Also what’s more important to me is explore the depth of one character because one character has alternate worlds in them, as far as I’m concerned. That might be a little bit cute way of putting it, but I’d rather explore that – and I may also fail to do that, I don’t want to talk my game up too much, but that is the potential. I think Smith already has that two people in him. He’s the one, the person that he would’ve been, and the person that he is, and they fight. What about Smith’s son? How is keeping this secret going to affect their father-son dynamic in Season 2? RUFUS: It is going to affect the father-son dynamic in many ways, and it’s a large part of the story. I couldn’t tell you how, but it’s basically the key part of my story, so I can’t give you a quick answer. What about his other “son” — the surrogate son of Joe Blake, who is now kind of the runaway child. Is John Smith in pursuit? Will Smith welcome him back? What’s kind of that relationship going to be for Season 2? RUFUS: It’s not so much a runaway. I guess you could call him a runaway in the sense of if you deliberately leave the door open and a trail of coins leading off to a cliff somewhere. I mean, it’d be a mistake to assume that Smith doesn’t have a potential game plan. I like never being a hundred percent sure whether Smith is unhappy about some turn of events or happy about it. John Smith seemed to give Joe an awful lot of latitude or rope in the first season, even once he sensed that Joe wasn’t entirely on his side anymore. It seemed like he just kind of wanted to see what Joe might do and there was a curiosity to it. RUFUS: Not just curiosity, but also to be a very good chess master, to have a keen idea of what he might do, and an idea that could work in [Smith’s] favor. Playing a high ranking Nazi officer is, obviously, a very unique role. Were there any challenges for you getting into that character, especially going into Season 2? RUFUS: No more going into Season 2 than in Season 1. I mean, the challenge for me was to not let history, or cliches, or previous movies, or previous performances, make decisions unconsciously for me because one of the least interesting things about any character is the costume they wear, or the uniform they’ve got. Just as far as I’m concerned, every thing about him that was not Nazi-like is what’s interesting and worth exploring because he’s a high ranking American Nazi in a Reich that never had to be open or honest about its failings, never was allowed to write its own history of itself, so he’s an all-American hero. He’s an all-American Nazi hero, and one of the creepy things about it is that you don’t have to push that ’50s Americana idea too far for it to fit. There’s not many things you have to take out of the picture for it to work. For me, the challenge was to play a human all the time because as far as I was concerned, having thought about it a lot, and what my responsibility was playing a Nazi, and the conclusion I came to is I think it’s my responsibility to humanize because I read “The Rise and Fall of the Third Reich.” I read Albert Speer’s book. I read everything I could about what it was like to be a normal person in that environment and what narratives you constructed for yourself in order to tell yourself you’re a good person. You know, what did the majority of Germans do? How did they manage to go through that and go along with it? They all did. Pretty much all of them. The idea that that could not happen in other countries is pretty delusional. I think it’s terrifying, but it’s true. Just to imagine that someone to all intents and purposes might have lived a very full life as an American and been loved and good father and gone through a different set of circumstances and ended up a high ranking officer who did evil, terrible things and managed to tell himself it was part of the job. This happens in every country. Sometimes, it’s just very, very disturbing. But I try to find as I read-through it that a man could believe he was still being good somehow. Sometimes that’s harder than others, but it’s my job. What part does the film reels have to play in the second season? Are they something, they’re still inquisitive? Or has that been dealt with? RUFUS: Yes, that they get to the idea, it gets kind of turned on its head quite interestingly towards the end. It’s very quite clever, but they’re still in play and not the only thing, yes. You said sometimes it’s been harder than others to get in touch with the human sides of your characters. Which one’s been hardest to kind of really get out the humanity of any of your great villainous characters? RUFUS: I’m not talking about in general. I’m just talking about there were some things in terms of the Nazi ideology that obviously does not come easy to rationalize your way around, but as I said, because we’re playing Nazis who were able to write their own history, it was possible for the majority of them, easier for the majority to think that they were good, wholesome people because we only know what we know because we won. We only know as much as we know because of the way it panned out. Imagine if they hadn’t lost, if the Americans hadn’t gone through Germany. What would Nazi America know of itself? What idea of itself would it be allowed to have? It’s quite extraordinary, but every country does that to a certain extent. I mean, in England where I grew up, 5th of November, burning Guy Fawkes. I didn’t realize I was celebrating the ritual execution by fire of someone who made an attempt to blow up the House of Parliament, and we’ve been implicated in a political act by every year burning this thing. I didn’t know. That’s what societies do. What storyline were you most excited to get to explore in Season 2? RUFUS: For me, I was, and still am, just excited about a simple, true storyline. If I can just have something that makes absolute sense. Obviously, as an audience member, I love the idea of a spectacle and all that, but my job is to try to find a way through something that is usually kind of mundane in the sense that it just makes emotional sense, so for me it was just exploring the story of my son and making sure that that stayed true to what a human being in those circumstances would do. It doesn’t sound important, but that was to me the thing that was most important. 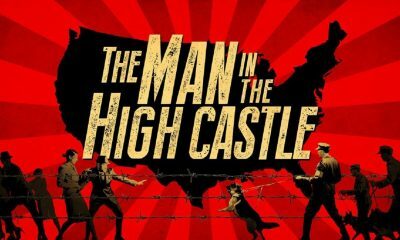 To find out what further twists and turns await and where John Smith’s heart and loyalty takes him, be sure to tune in for the release of THE MAN IN THE HIGH CASTLE Season 2 on Friday, December 16th available exclusively on Amazon Prime.